After falling to the Tampa Bay Buccaneers Week 2, the Philadelphia Eagles head into their Week 3 matchup against the Indianapolis Colts at 1-1, coming off their first "real" loss since Week 13 of the 2017 season, when they fell to the Seattle Seahawks. Against the Colts, Carson Wentz will make his return to the lineup as the Birds' starting quarterback. As usual, even with the return of Wentz, the Eagles will head into this matchup with more than just a handful of significant absences, most notably at the offensive skill positions, where they'll be missing Alshon Jeffery (reportedly), Mike Wallace, Mack Hollins, Jay Ajayi, and Darren Sproles. The Colts have serious injury concerns as well. You can find the final injury report with analysis here. 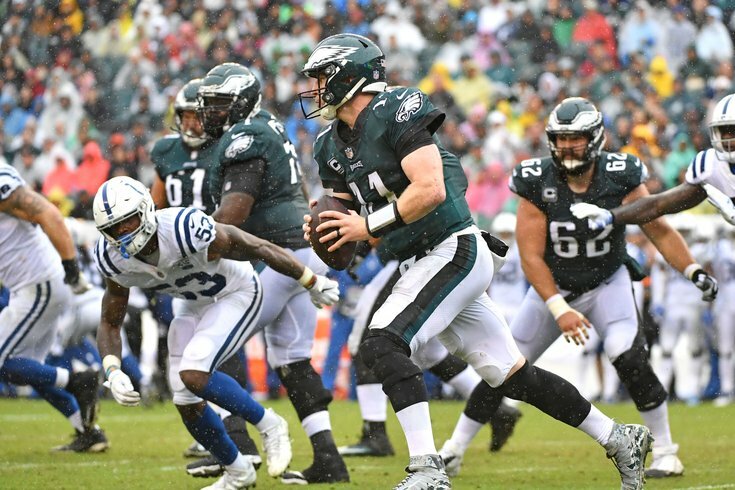 As we noted in our five matchups to watch, the Eagles will have to find a way to cause disruption on first and second downs, putting the Colts behind the sticks, and making third down conversion attempts more difficult for the No. 1 ranked third down offense in the NFL. Offensively, Wentz is going to have to find a way to move the ball with his depleted skill position group, with the most obvious solution being with their tight ends. The Eagles opened as 7-point favorites, and mostly stayed there throughout the week, with some sports books moving it to 6.5. Here are our staff writer picks, as well as who other publications are picking. For the gambling degenerates here are my Week 3 picks. I got off to a fast start Week 1, going 5-0 against the spread, but followed that up with a woeful 1-4 performance Week 2. Feel free to discuss the game(s) below.